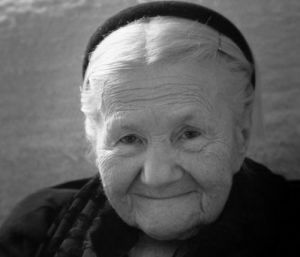 Irena Sendler, born in 1910, in Warsaw, Poland, was raised by her parents to respect and love people regardless of their ethnicity or social status. During WWII, as a nurse and employee of the Social WelfareDepartment she had a special permit to enter the Warsaw Ghetto to check for signs of typhus, a disease the Germans feared would spread beyond the Ghetto. During these visits, she wore a Star of David as a sign of solidarity with the Jewish people. Under the pretext of conducting inspections of sanitary conditions within the Ghetto, Sendler and her co-workers of Żegota, an underground organization, smuggled Jewish infants out in the bottom of the tool box she carried. She also carried a burlap sack in the back of her truck for larger kids. During her time of doing this she managed to smuggle out and save 2500 kids/infants taking the children past the Nazi guards or using one of the many means of escape from the Ghetto (the old courthouse). Then helped adopt them into the homes of Polish families or hiding them in convents and orphanages. She and her network made lists of the children’s real names and put the lists in jars, then buried the jars in a garden, so that someday she could dig up the jars and find the children to tell them of their real identity. The Nazis captured her and she was beaten severely, but the Polish underground bribed a guard at Pawiak Prison to release her, and she entered into hiding. Irena kept a dog in the back of her truck that she had trained to bark when the Nazi soldiers let her in and out of the ghetto. The soldiers, of course, wanted nothing to do with the dog and the barking which covered the kids/infants noises. Irena had made false documents for people in the Warsaw area from 1939 to 1942, helping save so many children, adults, and families BEFORE she joined the underground Zegota in December of 1942. In fact, hers life was one of standing up for others. After the war, she tried to locate any parents that may have survived and tried to reunite the family. Most had been gassed. Those kids she helped got placed into foster family homes or adopted. Ultimately, she was caught, however, and the Nazi's broke both of her legs and arms and beat her severely. She escaped Pawiak prison and stayed in hiding for most of the rest of the war. So inspired by her story to a group of students from a school in Kansas created and performed a play about it called Life in a Jar. From that time on they would take a jar to every performance and collect funds for Irena and other Polish rescuers. In 2001, their teacher raised the funds then traveled with four students, several parents and his wife to Warsaw, Poland. They spent time with Irena. They also met a famous Polish poet who was saved by her and an author of a well-known memoir of the Holocaust who called the students rescuers of the rescuer; The Polish press made this story international news. Irena’s story was finally reaching others. She died May 12, 2008 (aged 98) in Warsaw, Poland. Irena’s loving energy lives on in everyone she helped survive and their future ancestors.